Blog - How Can I Make Wi-Fi Work Better in My House? How Can I Make Wi-Fi Work Better in My House? Router placement is key when looking for the best internet connectivity. Try to place the router as close to the center of the home as possible. Install the router on the second floor of the home whenever feasible. Mount the router on a wall or high up on a shelf. Try to position large pieces of furniture along exterior wall in the room. This will prevent your furnishings from obstructing the internet connection. Make sure the router is away from microwaves, cords, cordless phones, and any other devices or wiring that could cause interference. Try to minimize mirrors near or around your router. These can also impact your connectivity. WAP Wireless access points or Wi-Fi extenders are effective at providing better internet connection throughout the home, particularly in a large dwelling. 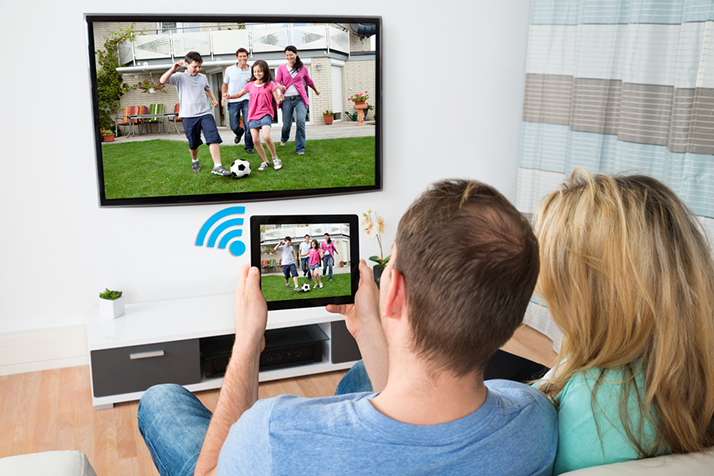 Consider adding several wireless access points (WAPs) in larger homes or businesses to handle multiple devices. Contact an expert to design your Wi-Fi. Consulting with an expert for more information regarding Wi-Fi design for tricky areas or in deemed “hot spots,” which can negatively impact your access and speed. Use these tips to enhance and extend your home's Wi-Fi connection. If all else fails or you are adding internet to a large space, work with a technology expert to design an installation that works best for your home.